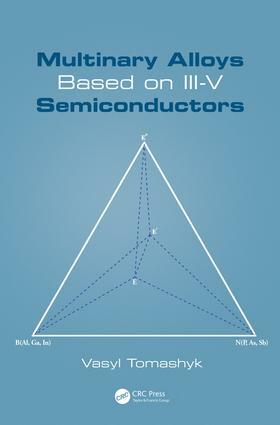 III-V semiconductors have attracted considerable attention due to their applications in the fabrication of electronic and optoelectronic devices as light emitting diodes and solar cells. The electrical properties of these semiconductors can also be tuned by adding impurity atoms. Because of their wide application in various devices, the search for new semiconductor materials and the improvement of existing materials is an important field of study. This book covers all known information about phase relations in multinary systems based on III-V semiconductors, providing the first systematic account of phase equilibria in multinary systems based on III-V semiconductors and making research originally published in Russian accessible to the wider scientific community. This book will be of interest to undergraduate and graduate students studying materials science, solid state chemistry, and engineering. It will also be relevant for researchers at industrial and national laboratories, in addition to phase diagram researchers, inorganic chemists, and solid state physicists. Vasyl Tomashyk is executive director and head of department at the V.Ye. Lashkaryov Institute for Semiconductor Physics of the National Academy of Sciences of Ukraine. Graduating from Chernivtsi State University in 1972 (master of chemistry), he is a doctor of chemical sciences (1992), professor (1999) and author of about 590 publications in scientific journals and conference proceedings, including eight books (five of which are published by CRC Press) devoted to physical-chemical analysis, chemistry of semiconductors, and chemical treatment of semiconductor surfaces. Prof. Tomashyk is a specialist at a high international level in the field of solid state and semiconductor chemistry, including physical-chemical analysis and the technology of semiconductor materials. He was head of research topics within the International program "Copernicus". He is a member of the Materials Science International Team (Stuttgart, Germany, since 1999) which prepares a series of prestigious reference-books under the titles of "Ternary alloys" and "Binary alloys" and publishes 35 articles in Landolt–Börnstein New Series. Prof. Tomashyk is actively working with young researchers and graduate students and 20 Ph.D theses have been prepared under his supervision. For many years, he has been a professor at Ivan Franko Zhytomyr State University.